Background: Alopecia is a non-specific cutaneous manifestation of lupus and seen in 45-54% of lupus patients at any time during the disease process. Lupus and alopecia often go hand in hand and produce significant psychoso- cial impact. Objectives: To study the different patterns of alopecia in lupus, relationship to disease activity and its psychosocial impact. 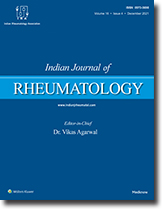 Methods: Lupus patients attending the Rheumatology and Dermatology Clinics in the North Bengal Medical College and Hospital were evaluated with special reference to different patterns of alopecia, relationship with disease activity and its impact on lifestyle. Results: A total of 50 lupus patients were studied. Forty patients had alopecia during the study period, whereas 10 patients had alopecia at the time of presentation. Different patterns of alopecia observed were telogen effluvium in 20 cases, 'lupus hair' in 10 cases, scarring alopecia (associated with discoid lesions) in seven and alopecia areata in five cases, but alopecia totalis was not detected. 'Lupus hair' was associated with high disease activity and 15 patients had impaired quality of life because of recurrent alopecia and scarring. Conclusion: Alopecia is a less serious disease manifestation in lupus, though it can produce a significant psycho- social impact in the quality of life. Objectives: To assess the knowledge of systemic lupus erythematosus (SLE) patients before and after clinical pharmacist's education and compare the same with the control group. Methods: In this study done on patients with SLE, the test group patients were provided with education regarding SLE and its management including lifestyle modifications, via the distribution of patient information leaflets (PILs), while the control group were continued with conventional therapy. Validated knowledge assessment questionnaire was administered at baseline, first follow-up and final (second) follow-up to assess the medication knowledge of SLE patients. The Modified Morisky Scale (MMS) was used to assess the adherence at the final follow-up to study the influence of education. Results: Forty-five patients completed the 2 months follow-up study out of 50 enrolled patients. A significant (P < 0.001) improvement in the medication knowledge scores and medication adherence was seen in test group compared to the control group. The reasons for non-compliance included patients forgetfulness, high cost of medi- cations, patients lack of access to hospital/drug store, lack of family support/motivation, fear of side effects, and fear of becoming dependent on treatment. Conclusion: The finding of this study showed that a well-structured SLE patient counselling by clinical pharmacist's intervention will result in improved medication knowledge and better medication adherence. Biomarkers are indicators of biological processes. In lupus we especially require activity biomarkers to look at pre- dicting flares, differentiating damage from activity, and assessing response to treatment. There are numerous mol- ecules that have been evaluated for these purposes, but studies suffer from limitations of design, statistical rigor, and outcome measure. The best biomarker remains the oldest one, double-standard deoxyribonucleic acid (dsDNA) and has many longitudinal studies to back it, and shows the ability to predict renal flares. Apart from this anti-C1q, cell-bound complement activation products and urinary molecules-chemokines and neutrophil gelatinase-associated lipocalin (NGAL)-are promising. The interferon signature has not lived up to its promise; however, microRNA (miRNA) signature is newly coming up as a marker of activity. Even if we do come up with better biomarkers, there is lack of clarity on issues of socio-economic impact as well as psychological impact of frequent testing for biomarkers. An exhilarating era for autoimmune inflammatory rheumatic diseases (AIRD) has arrived; new therapeutics are emerging that not only control symptoms, but also may allow a chance for remission. However, enthusiasm must be tempered with judicious caution as gaps in our knowledge remain regarding long-term safety data especially with respect to new onset infections and reactivation of latent infections such as tuberculosis (TB). Chronic vigilance and appropriate anti-infective measures such as trimethoprim/sulphamethaxozole and TB chemoprophylaxis should be instituted whenever indicated to minimise risk. Vaccination is an appropriate choice to prevent substantial number of these infections. In this context, pneumococcal and influenza vaccines are the best evaluated and are recom- mended by standard vaccination guidelines by most of experts. Some studies have found mildly impaired immune responses to vaccines among patients receiving long-term immunosuppressive therapy and tumour necrosis factor (TNF) antagonists, but post vaccination antibody titres are frequently adequate to provide shield for the majority of immunised individuals. The accumulated data on the safety and effectiveness of vaccines warrant immunisation with the majority of vaccines for patients with AIRD with the exception of live vaccines. In India, however there is a con- cern about futility of influenza vaccine, as it is feared that the serotypes targeted in this vaccine may not be the prevailing in our geographic area. Vaccination status assessment as soon as diagnosis of any of AIRDs is estab- lished and updating to appropriate vaccination status should compulsorily be implemented in daily clinical practice by rheumatologists.